Adana is a small, brown, earth dragon. She longs to play with the other dragons, but none of them will accept her as a friend. One day a giant wanders into the land of the dragons and scares all the other dragons. Can Adana save the day and prove that even a small brown earth dragon can do big things? An elemental tale from the author of P.A.W.S. and Esmeralda Grunch and the Red Tulip. Harry The Happy Mouse is a cheerful, traditional story about a Mouse called Harry who lives in the colorful English countryside. Harry helps a Frog, but asks the Frog to repay the kindness to someone else. We follow the good deed as it moves through other characters, who each selflessly help someone else, making themselves feel happy in the process! Summertime is vacation time for the Angelino family, and the two Angelino boys are excited about their upcoming camping trip. They’re going to the local state park, where they can swim, go fishing, and look for wildlife! Nine-year-old Bear is set on having a critter as a pet. With special, non-fiction, interactive addendum that invites the reader to step behind the scenes. Take a look, bonus inside for you! 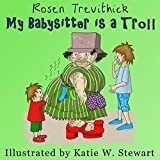 Looking for a book with a cute bedtime story and colorfull picture? 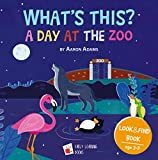 The book will not only help your baby fall asleep but will acquaint him with different colors, animals from the zoo. At the zoo, there is always lots to see.Come on everybody just follow me. We are going to have fun and play a game.Can you tell me which animal is not the same? “Oh, dearie me!' said Rudey. Now I've done a windy pop! This is a bit embarrassing. I'll do my best to stop. 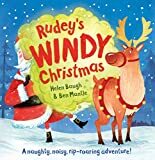 'Rudey has eaten too many sprouts and the explosive effect is smelt all around the world as he Santa delivery presents on Christmas Eve… The other reindeer have laughed so much, they're out of puff. How ever will they get the sleigh back home?A naughty, noisy, rip-roaring story, full of hilarious phrases that children will love! 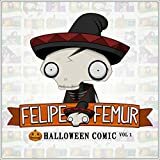 Volume 1 of the Halloween webcomic Felipe Femur & Friends. Twenty-five comics featuring the cute monsters. Follow the Halloween themed adventures of ironic monsters, including Felipe Femur the skeleton with a lot of heart, Gummy the toothless werewolf, Sunny the sun-loving vampire, and Runny the not-so-wicked witch in their town of Toonstone. Bel and Pip are two very little people who have very big adventures. When Bel and Pip find the perfect apple for their crumble, they aren't expecting to bump into a mean wasp. But the wasp is in for a surprise of its own. Follow Bel and Pip on their first adventure and find out their recipe for the most-delicious-ever apple crumble. Who are these horrible babysitters? And how do we escape from them? Contains hilarious yet adorable, full colour illustrations by artist, Katie W. Stewart.